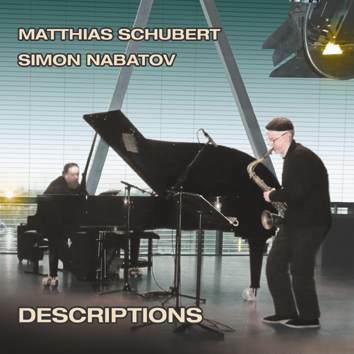 "Descriptions" is the first documentation of the powerhouse duo Matthias Schubert - Simon Nabatov, even though the two outstanding European improvisers have been playing and recording in different settings, intermittently, for nearly 30 years. The disc demonstrates amply the strength of their musical connection and the shared sensibilities — raw energy, immediacy and honesty, compositional awareness fused with a healthy dose of anarchy and humour. Captured live at Loft, the venerable venue for improvised music in Cologne, the recording encapsulates perfectly the energy and the flow of musical ideas of these two masters.